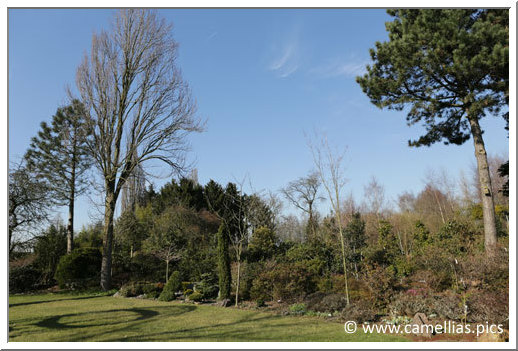 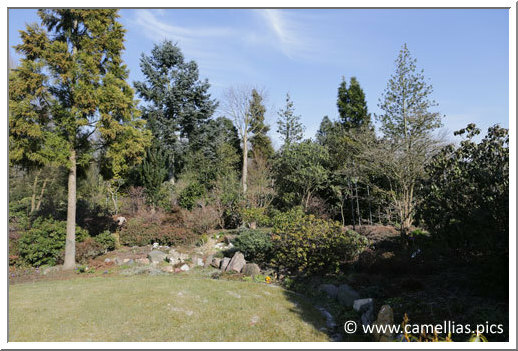 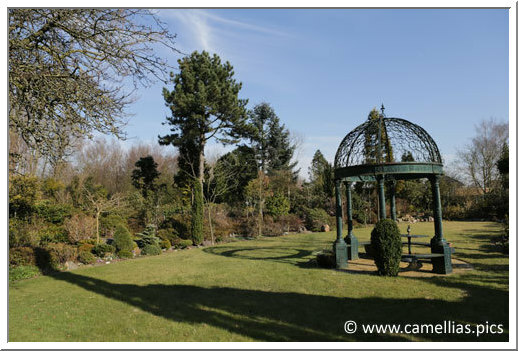 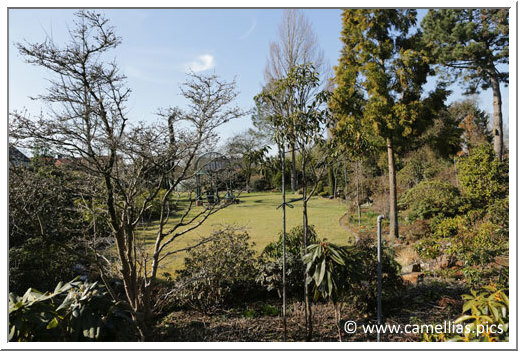 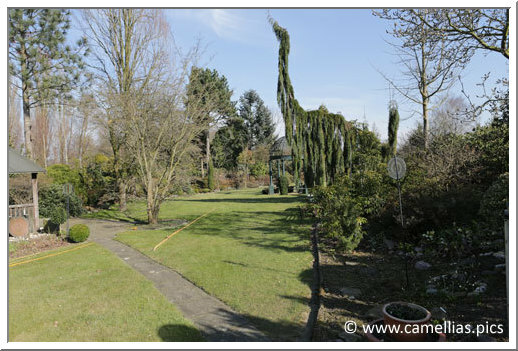 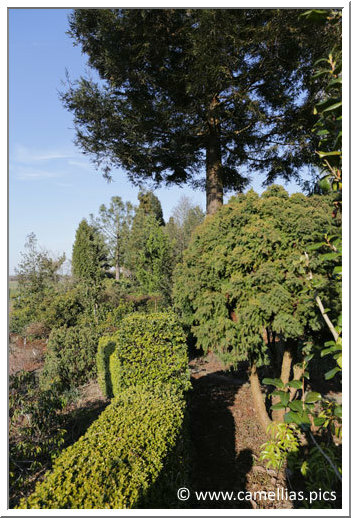 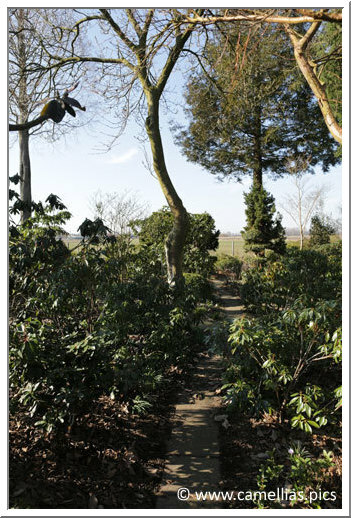 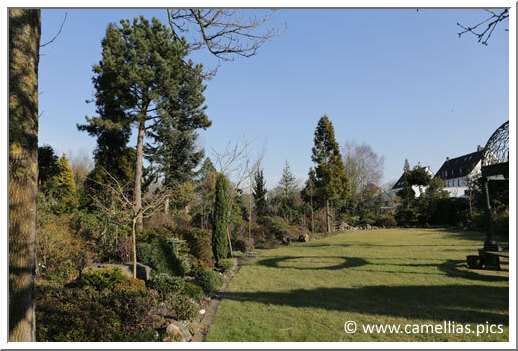 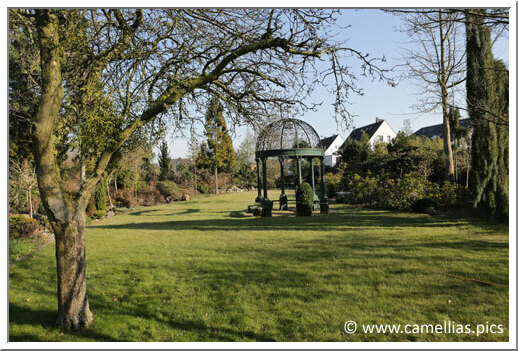 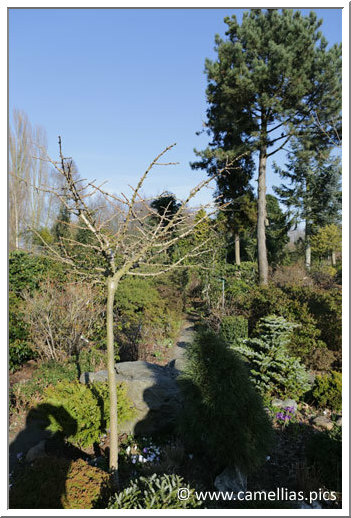 At 150 kilometers, in the North of Köln, a private garden dedicated to kalmias, camellias, rhododendrons. 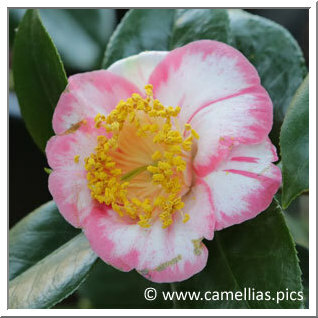 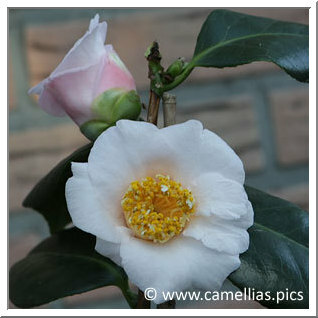 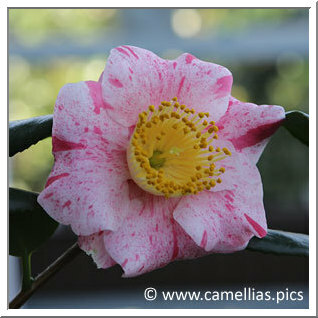 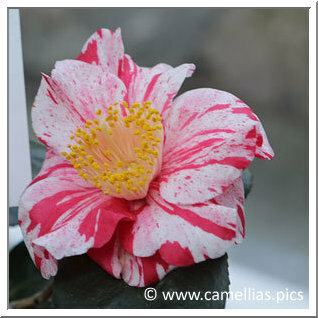 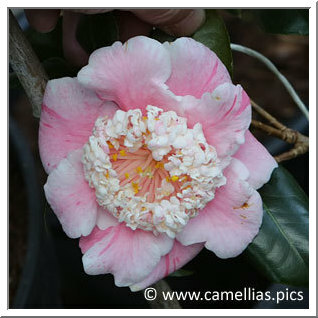 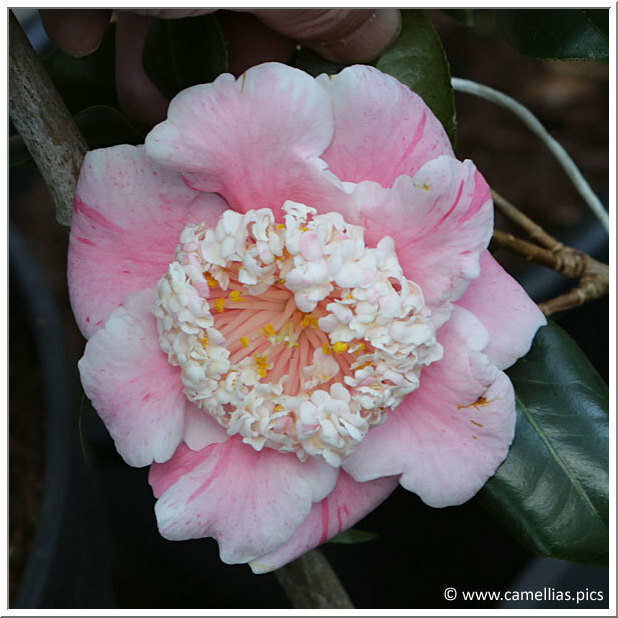 There are 200 varieties of camellias cultivated for the greater part in full ground, as well as in a greenhouse. 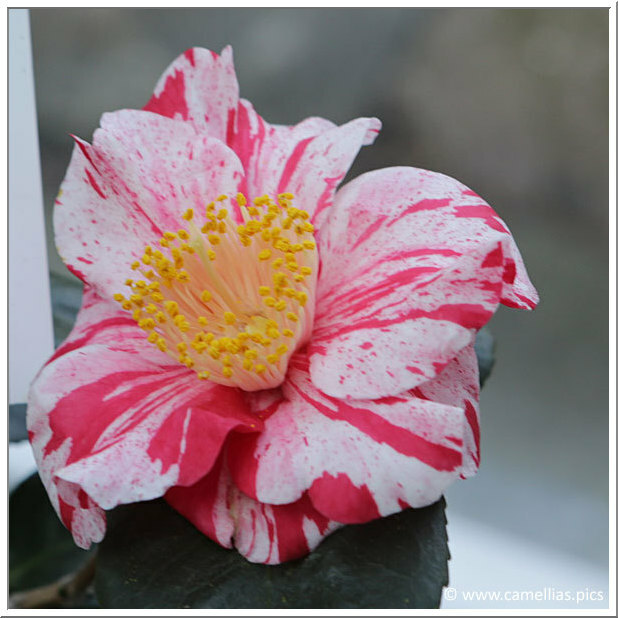 The owner is amateur of Higos. 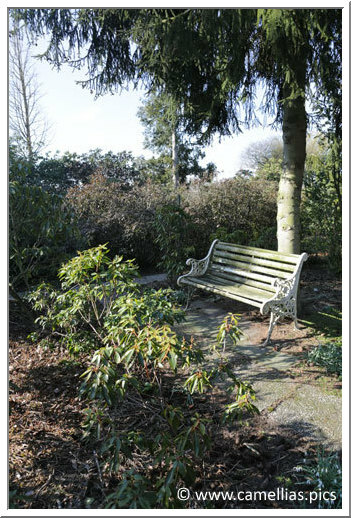 You can also find its own obtentions. Because of the late blooming at the end of the 2013 winter, we were only able to photograph the Higos in the greenhouse.